At Anglo Technical Recruitment, we pride ourselves on aligning with best and the brightest individuals and organisations. We are honoured to work with Barhale, recent recipient of the New Civil Engineer 2017 ‘Specialist Tunnelling Project of the Year’ for the Elan Valley Aqueduct (EVA) Rehabilitation Project as part of BNM Alliance, a partnership between Barhale and North Midland Construction. 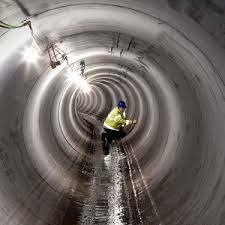 The Elan Valley Aqueduct Rehabilitation Project consisted of the construction of three tunnels to replace an existing aqueduct system. True to their mission of sustainability, this project created a sustainable solution that will continue to deliver results for the client and local community for years to come. Recently, Barhale provided water and utilities support to Anglian Water on a scheme to improve Southend bathing water. The bathing waters were at risk of failing the revised bathing water directive and required a reduction in sewage outflow and careful management of urban pollution. Throughout the project Barhale faced a number of challenges from obstructions to the discovery of a World War 2 anti-aircraft shell. These challenges were successfully navigated, and the final result was reduced pollution and a system that stores excess rainwater which is then diverted to Southend Water Recycling Centre. We are honoured to work with such an upstanding member of the engineering sector and we look forward to many more productive years working in collaboration with Barhale.